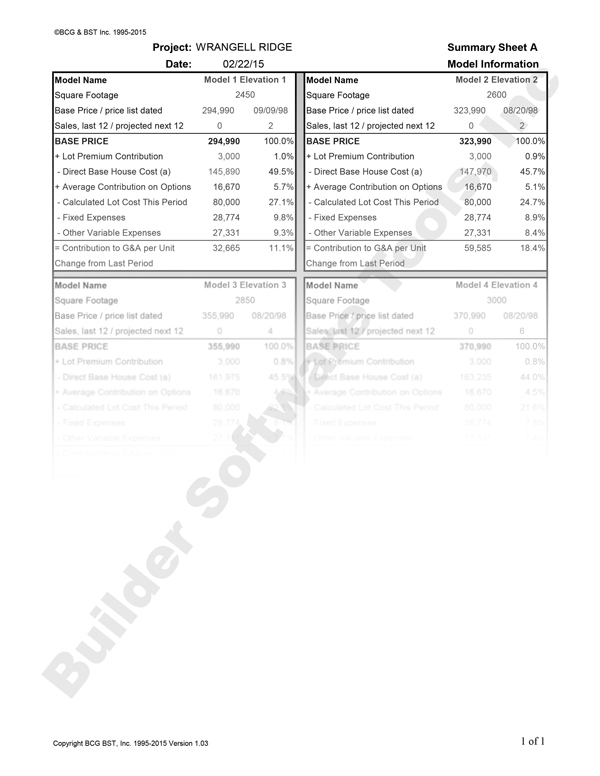 This budgeted profitability allows a builder to fully understand, on a community basis, the financial relationships which exist in the home building process. 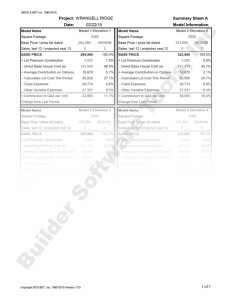 This financial model gives you, the builder, the clear and concise overview that is necessary to make faster and more informed management decisions. With a single page summary of all relevant information, you can easily see the impact of changes and take immediate management action to remedy or improve the financial results if needed. In addition, the format of the worksheets enables your administrator to complete the entire project quickly and easily, resulting in substantial time and cost savings (Excel). Click here to View a Sample or click on our image below.